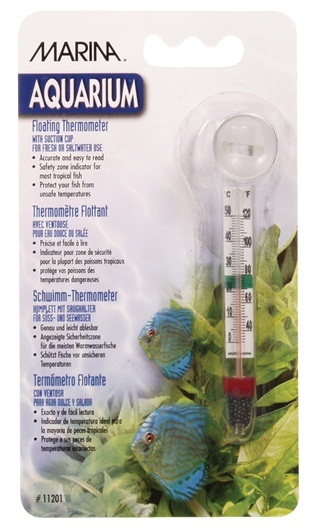 Fluval Marina Glass thermometers is designed to go inside the tank. It comes with a suction cup and can be used in fresh water or salt water tanks. There is a safety green indicator zone where the temperature is best to be set at in the aquarium. Temperature scale is 0-50 celsius, 30-120 Fahrenheit.